When it comes to choosing the best design for our private residence, we tend to compile a lot of ideas that will definitely enrich the interior and outdoor areas of our house. Also we tend to search for a more quiet and peaceful place to really experience the comfort and privacy. 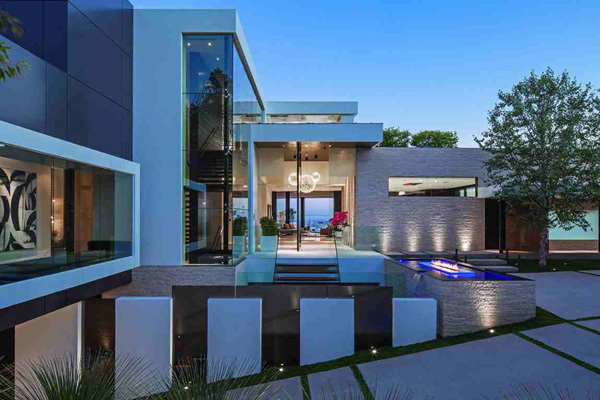 Today we will truly amaze you with all the features highlighted in the private residence built in Beverly Hills, California. 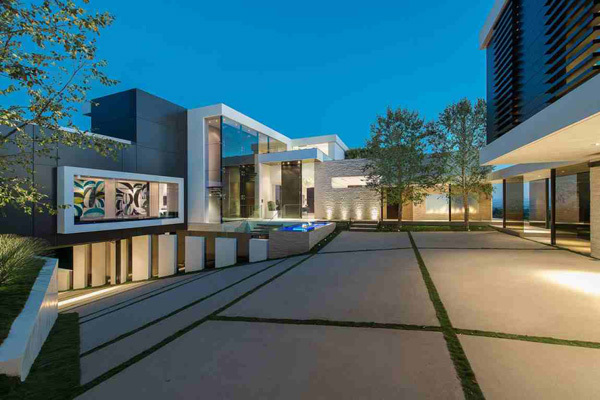 This private residence is really spacious and it boasts with 6 bedrooms, and 10 bathrooms. This house is named as the Laurel Way. 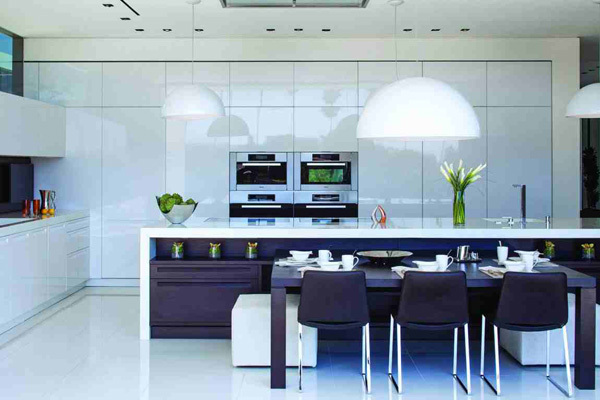 We can witness the different elements utilized by the designer to make this house elegant and extraordinary. The client is inspired to stay and spend his weekend in the house especially in the exterior. Improved and artistic ideas were maximized to come up with such a unique and fabulous concept. Let us explore more of the details of this house through the images below. Geometrical shapes of the house building may initially showcase the exceptional hidden features of its design. Lights installed in this spacious garage underline the luxurious cars of the homeowner. Different levels and textures are exposed in the exterior from its floor to the walls of the buildings. The color combination chosen by the homeowner for his living space are enough to make this classy and comfy area in the interior. Green wall art uncover the connection of the interior to the luscious landscape outside. 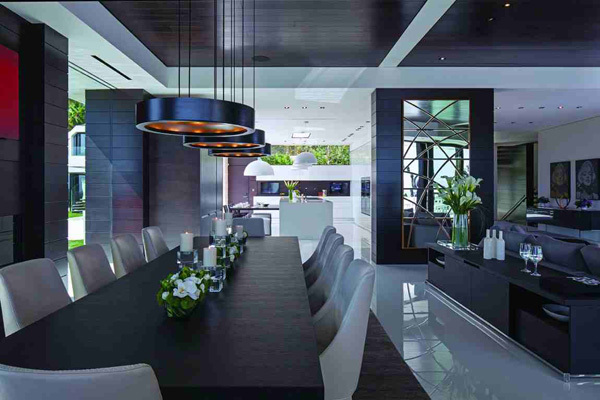 Unique and elegant shape and design of the chandeliers blends with the neat and flawless look of this kitchen. Dark brown wooden furniture is utilized to achieve its contemporary concept and style. Here’s the large bed set in the center of this glazed-wall bedroom that assures the client of the comfortable and relaxing space he requested. 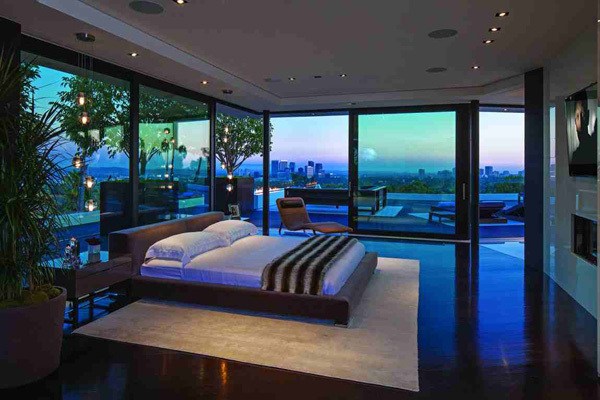 The homeowner may freely experience the natural light and the astounding views from its glazed walls every morning. Expensive and trendy fixtures unveil the luxurious and sophisticated look of this bathroom. 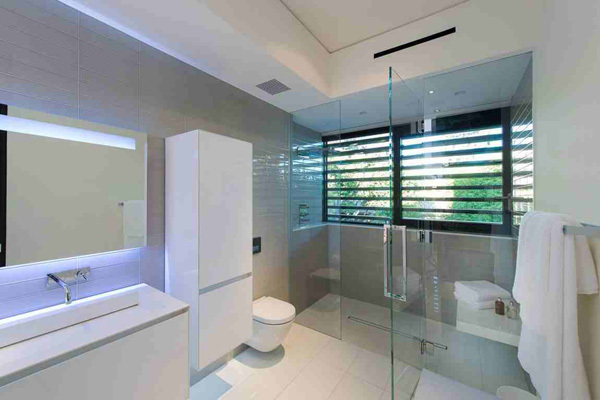 Here’s another bathroom that also show its spacious and comfortable zones. Here’s the dressing area that is sufficient to accommodate family’s clothing and shoes. 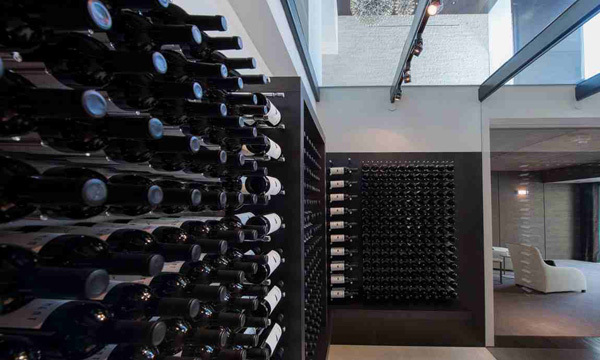 One of the most collected items of the homeowner are bottles of wine kept for years which they usually offer for their executive visitors. Unique shape of the swimming pool is undeniably matched with the chairs and tables in the pool side. 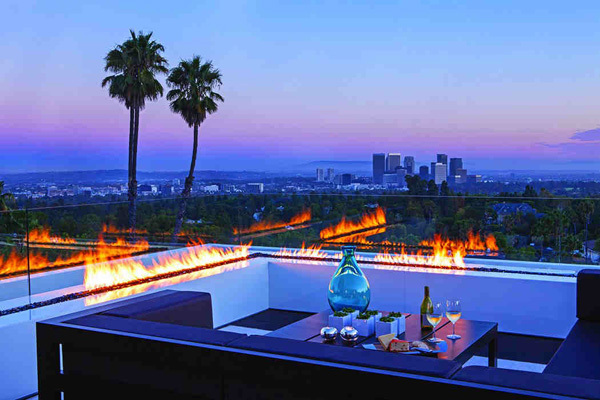 Fireplace installed in the outdoor space is very effective to keep the warm temperature and comfort as well. 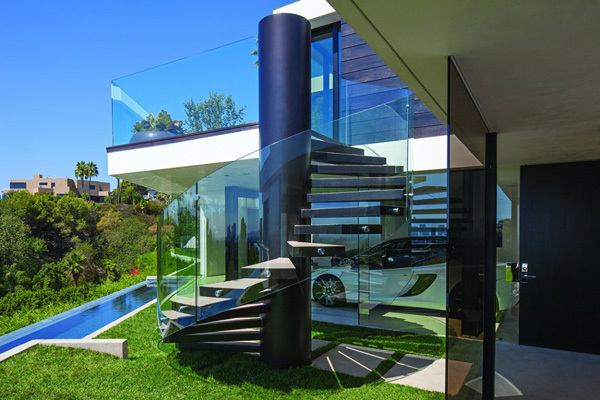 The amazing curve of the glazed frame of this unique staircase provides transparency in the exterior. Limited space for the outdoor are utilized for a water system that adds elegance and charm especially during daytime. See how the shapes and colors of the furniture are set and arranged well in the pool area. 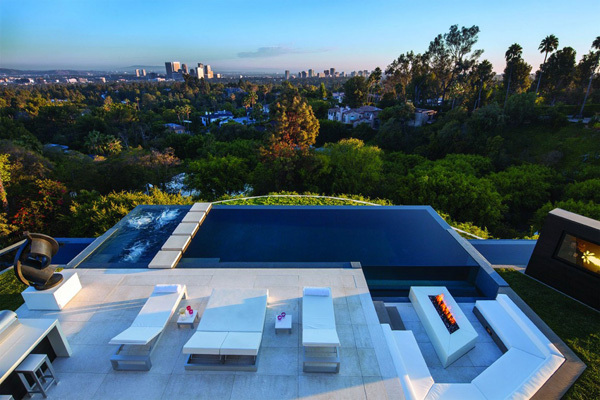 The significant role of this infinity pool is emphasized in the outdoor space together with the fireplace in its side. 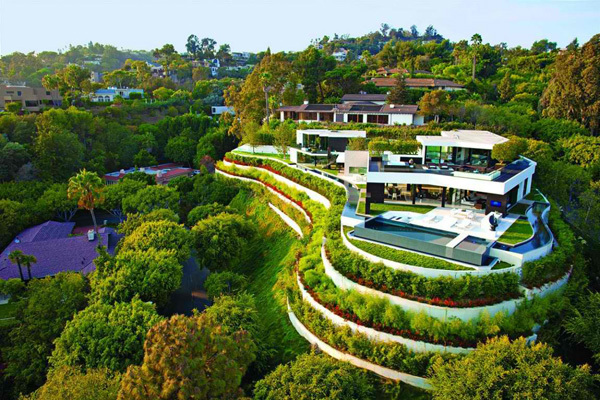 From the bird’s eye view, the extraordinary shape and layout of this private residence emphasize its uniqueness and elegance. 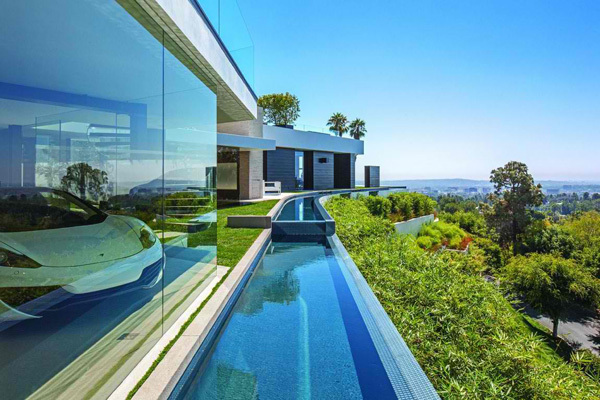 As we have witnessed the staggering details of this private residence through the images above, we can say that the Whipple Russell Architects took a lot of effort and brilliant ideas to formulate the best design. 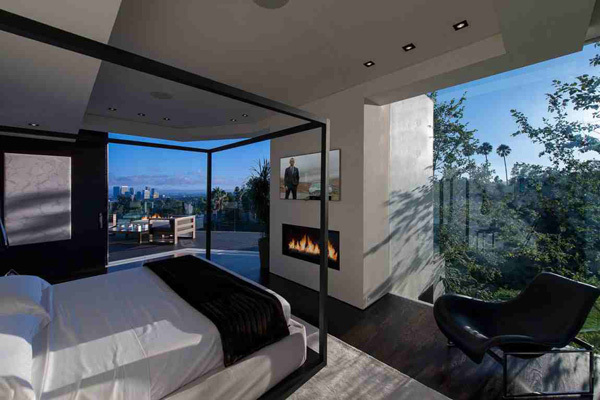 The designer proves its wit and confidence in making this private residence worth to stay in. What I love the most in the designs of this house is the pool area where the homeowner can spend precious time with his family. We hope that we have presented you a design that will help you decide and choose the best design that would you think a private residence is.